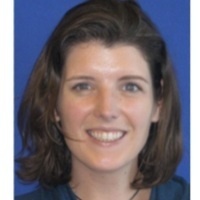 Rachel Brim MD in an Instuctor in Pediatrics at UCSF. She completed her medical degree at Michigan State University College of Human Medicine, and her residency at UCSF. For more than 6 years, Dr Brim has been researching cognitive outcomes and psychiatric symptoms following cerebral malaria in Malawi. Cerebral malaria is a common cause of death and disability among children in sub-Saharan Africa. Her current work with The Cognitive Outcomes and Psychiatric symptoms of retinopathy-positive CM cohort is the first large prospectively recruited cohort of stringently defined cases of CM and hospital-based, age-matched, non-CM controls in whom cognitive and psychiatric outcomes are assessed with standardized measures semi-annually for up to 5 years.